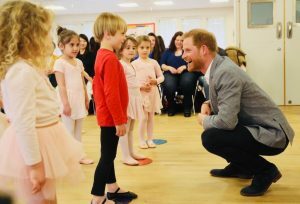 When the Duke of Sussex visited YMCA South Ealing on Wednesday 3 April, he dropped into the children’s ballet session to meet young dancers and their families. 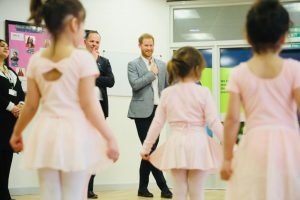 There were 11 children, aged 5 to 7 in the class who performed two routines for him, led by ballet teacher Jade Groves. It was a very special moment when the Duke was escorted into the studio. “The children were overjoyed when he walked in. 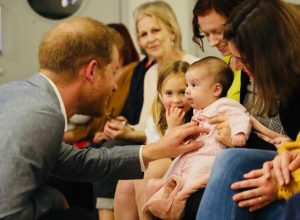 Some recognised him; some even asked were Meghan was. But for a few, the understanding was just that it was a Prince. A few students were so in awe, that during the first exercise that we demonstrated they stared and forgot to dance!” says Jade. 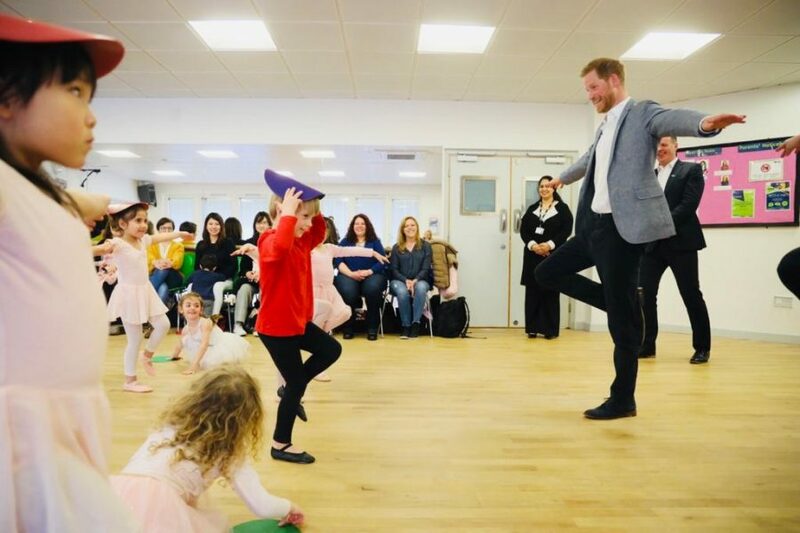 The Duke of Sussex took part in the balancing challenge, which involved standing on one leg. Jade was surprised at his willingness to join in. Jade studied at The Royal Academy of Dance, achieving a BA (Hons) in Ballet Education and is now a registered teacher. She teaches in two ballet schools, as well as teaching at YMCA South Ealing. Jade’s ballet classes are suitable for both beginners and for those who have taken a class before. She uses the RAD grades as a basis for the work, as well as including opportunities for further creativity, such as end-of-term themed dances.